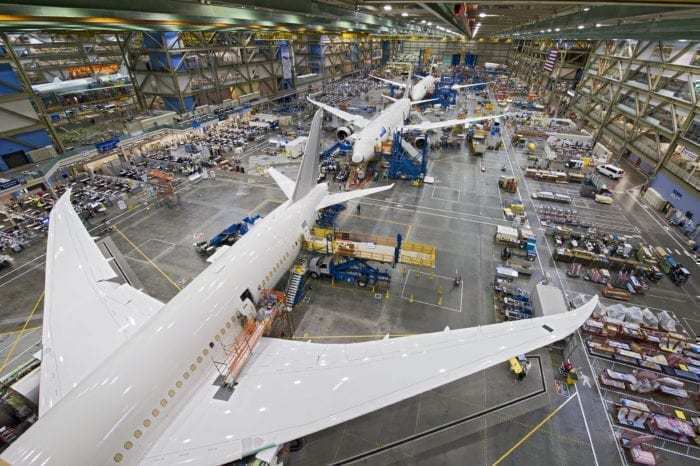 US plane maker, Boeing, has predicted huge Middle East growth over the next two decades. 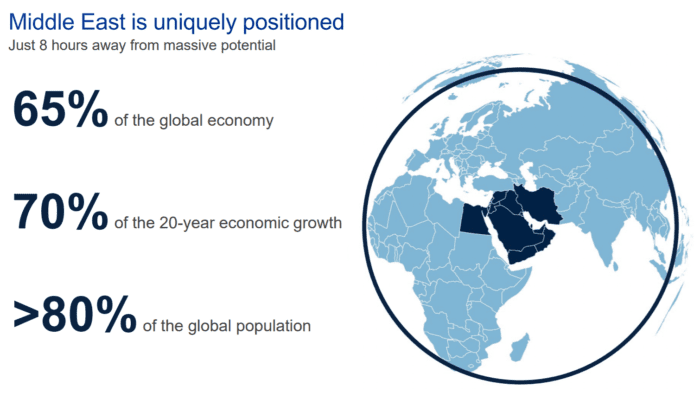 Boeing’s Middle East prediction says that the area will need in the region of 2,990 new aircraft in the next 20 years. Such growth would triple the existing fleet of aircraft in the region. This also comes with the knock on effect of needing more crew, pilots and ground staff to maintain and operate all these new planes, not to mention growth in the supply chain too. As part of their Services Market Outlook, defined as a long term forecast to guide business planning and share industry trends, Boeing have been looking at the wider aviation market too. Overall, they expect the commercial aviation market to be worth around $8.8 trillion between now and 2037, with annual spends doubling over that time. 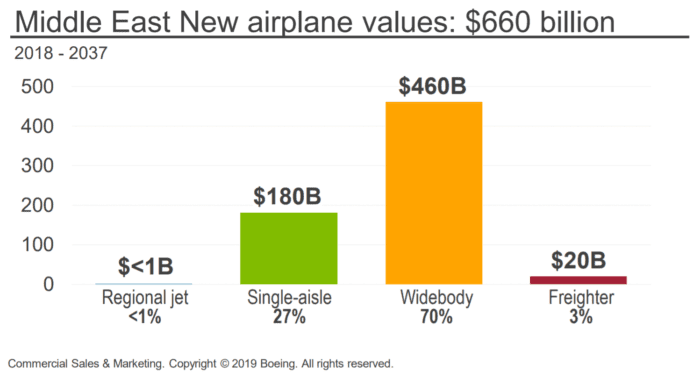 These predictions show that, despite widebody aircraft typically being the jet of choice, the advent of highly efficient, comfortable narrowbodies will influence the mix over the next two decades. 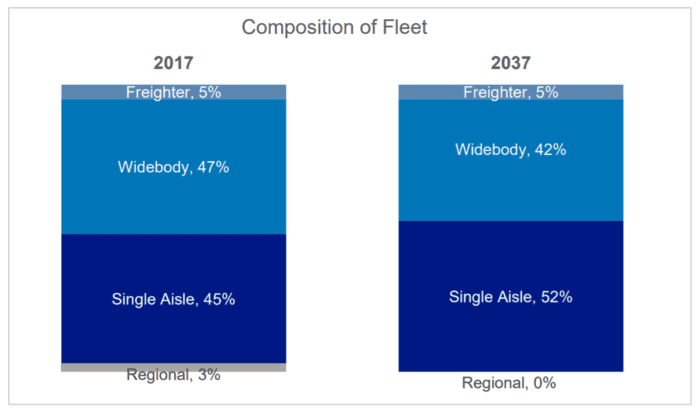 By 2037, they predict widebody use will have dropped from 47% down to 42%, while single aisle jets will increase from 45% to 52%. With an aging widebody fleet and a growing need to refresh them with aircraft that are fit for the future, Boeing’s predictions are looking pretty realistic, foretelling a promising future for aviation in the Middle East.